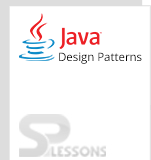 Command Pattern is a behavioral pattern and a data driven pattern. In command pattern, request is sent to the invoker and invoker will send the request to the encapsulated command object. Command object sends the request to a specific receiver to perform the task. Command pattern is also known as “Action” or “Transaction”. Objects can be added easily. Objects with parameters can be used. Command: Command is used for declaring an interface to execute an operation. ConcreteCommand: Concrete Command extends the Command interface and implements the Execute method for invoking the operations executed on Receiver. 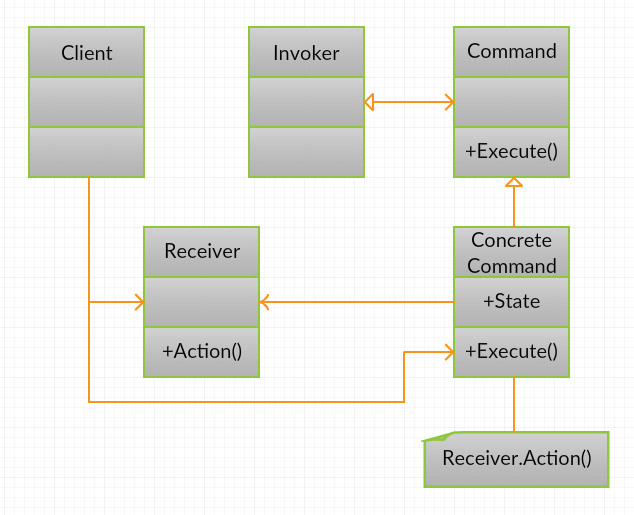 ConcreteCommand acts as a link between the Receiver and action. Client : Client can create a ConcreteCommand object and set the receiver. Invoker : Invoker will carry the command to the request. Receiver: Receiver will perform the operations. Creating a class BuyStock and implementing the interface Book. Creating a class SellStock and implementing the interface Book. Creating a main class CommandPattern. Loose coupling can be done easily. Command Pattern are mostly used in request response models.